Recently retired where he accumulated 633 NHL games and over 1000 games Pro. 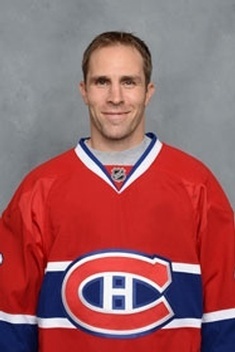 During his carreer he played with the Montreal Canadiens, Florida Panthers, St.Louis Blues, Vancouver Canucks, Los Angeles Kings and Atlanta Thrashers. In his first professional season, he helped lead Orlando to the IHL’s 2001 Turner Cup. A year later, the diminutive defenseman again helped his team win it’s league title, this time helping drive the Chicago Wolves to the 2002 Calder Cup. By the time the 2002-03 season rolled around, Mike was seeing time at the NHL level, splitting time between the Atlanta Thrashers and Chicago. The 2003-04 and 2004-05 campaigns just added to Mike’s reputation as a team-player, with the 5-foot-9, 185-pound defenseman registering +21 and +35 seasons, respectively. Since 2005 Mike has lived out his dream of being a regular in the NHL. In the 2008-09 season led Blues Penalty Kill to a top 3 finish in the league. In a 2009 article Mike was rated 10th in the NHL amongst defensive defensmen . Had enjoyed 4 successful years as a defenseman for the Michigan State University Varsity hockey team where he received a full scholarship. Two-time Second-Team NCAA West All-American in 1999 and 2000. Two-time First-Team CCHA All-Star in 1999 and 2000. Two-time CCHA Best Defensive Defenseman Award winner in 1999 and 2000. Has been working as an integral part of our team and offers a wealth of knowledge and expertise with his extensive resume. As a player; NCAA Michigan Tech 1991-94, 2 years Pro in ECHL with Erie Panthers, and Mobile Mysticks. Justin also had and extensive 10 year European playing career with Germany, France and Italy expanding 1996-2006. In 1999-00 saw the World Stage with the Canadian National Team, 2001-2006 Italian National team where he was a 2 time MVP Defenseman at the world championships in 2004 and 2005. Justin has also coached in the OJHL, CCHL, and OHL where he was an Assistant Coach and Head of Player Development for the Mississauga Steelheads. Justin’s commitment to the sport of hockey and young hockey player’s development is on going in the Toronto area and we are extremely proud to have him on our Defence First Team.